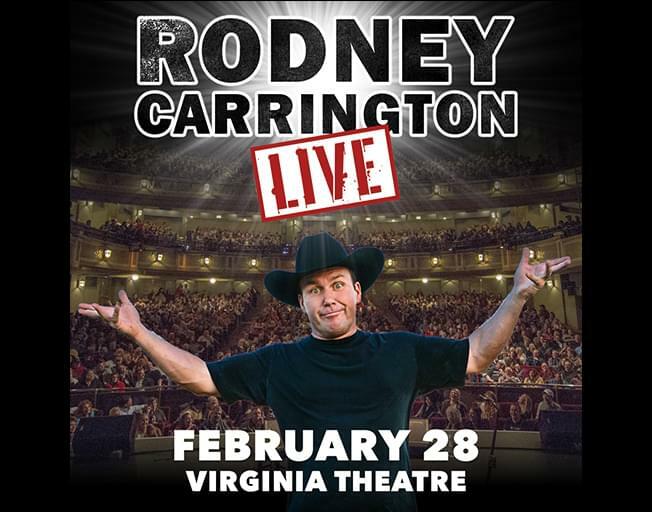 Actor/ Comedian Rodney Carrington is stopping at the Virginia Theatre in Champaign on February 28th and we want to send you! All you have to do is register HERE with your Insider Rewards. Rodney Carrington has recored eight comedy albums and has starred in his own TV sitcom called Rodney. He also starred alongside Toby Keith in the movie Beer for My Horses in 2008. B104 is giving you the chance to see him LIVE February 28th in Champaign! Register now with your Insider Rewards. You have until Sunday, December 23rd at 11:59 pm to enter. With Bloomington Normal’s #1 Country, B104.